Check out the latest updates for small businesses and advisors, plus a peek at what’s coming soon. 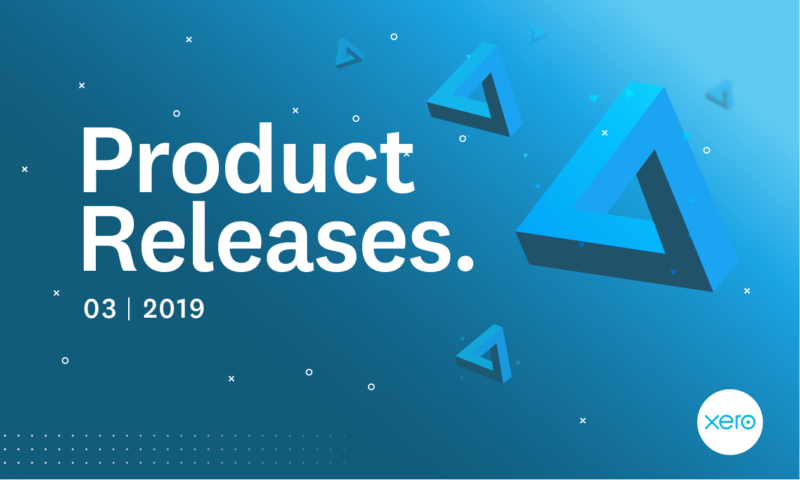 Xero changes and release updates can be found in Xero Central or keep an eye on the feature timeline for a summary of some of our bigger releases. The new expenses dashboard view provides a relevant, up-to-date snapshot of expense claim activity. This helps small businesses using expenses understand, monitor and proactively manage expenses more efficiently. Depending on your expenses user role, the dashboard view will highlight new and awaiting approval claims and help submitters track the status of their claims easily. Advisors can close or delete unanswered queries sent to clients, reducing clutter and making it easier to put your finger on the right information, the first time. Clients trying to access an unanswered query will be redirected that you no longer need any action undertaken. Small businesses and advisors in Australia, New Zealand, Singapore and the United States have been using a new version of invoicing since late last year. Over the next two weeks, the new experience will be rolled out to the remaining regions, including Canada, United Kingdom, Europe, Middle East and Africa. With a simpler more intuitive interface, new invoicing has time saving features including automatic coding suggestions, auto-saving and the ability to show and hide entry fields for those with varying complexity when entering invoice information. Learn more from our blog about new invoicing. With over 60,000 calculations undertaken in Xero invoicing fields every week, small businesses and advisors have the ability to use the inbuilt calculator to run equations for quantity, unit, price, and amount fields, across both classic and new invoicing. In new invoicing, exponents can also be entered to calculate more complex calculations, however, discount percentages are automatically calculated for you. As an added bonus, you can also use the inbuilt calculator in the debit and credit fields in manual journals. The CCH iQ integration will quickly identify key legislative changes, judicial rulings, and ATO updates that could directly affect clients by analysing the data from tax returns lodged via Xero Tax. Advisors can then use the tools in CCH iFirm to communicate this information to your clients and start a conversation on consulting or advisory services. Learn more about this integration. A new management report template includes a new Cash flow summary, and a breakdown of the GST movements. Other reports in this release are rental schedules, minutes and resolutions, as well as a number of new rental and agri report codes. Simplified tax and revenue technology (START) is the name given to the business transformation program for Inland Revenue. As part of that transformation, Advisors can be reassured that tax types migrated in Feb 2017 (GST) and April 2018 (FBT, RWT, etc) can now be viewed on Xero. Ahead of IR’s easter migration where almost all remaining tax types (including Income Tax) will be migrated to their new system. Xero’s Making Tax Digital (MTD) for VAT solution is live in Xero. To help you get set up with MTD, we’re hosting a series of live webinars for small businesses and advisors, currently running up until 18 June 2019. For those using bespoke software not compatible with MTD for VAT, Xero now includes a bridging feature as part of our MTD VAT Return solution. Available in all Xero plans with MTD VAT it will enable you to continue using spreadsheets to calculate VAT and keep digital records. For all Xero partners – practice staff users will have access to this automatically, whilst small businesses can request access from our customer experience team. Learn more about MTD VAT. For small businesses and advisors in the UK, paying your Xero subscription fees are now even easier. Direct debit bank account payments via Stripe can now be set up to pay your monthly Xero subscription fees. This gives you more choices beyond the existing credit card payment options. Small businesses and advisors can now add employee benefits such as private medical, dental insurance, subscriptions and employee uniforms in payroll for the 2019/20 tax year. A payroll administrator can simply create benefit pay items in the Payroll Settings, then assign the benefits to employees on the pay template. When the pay run is processed, the benefit amount and any associated employee deductions for the pay period are added to the payslip. Xero files the tax on the benefit as part of the electronic Real Time Information (RTI) process. You can payroll benefits in Xero for 2019/20 if you registered with HMRC before 6th April. Small businesses with 1-4 employees can meet Single Touch Payroll reporting obligations, with the Payroll Only plan. At $10 per month, employers can manage their payroll, connect and file the information directly to the ATO from Xero. Learn more about Single Touch Payroll. Expenses admins will be able to easily categorise expense claims by selecting any account from the chart of accounts on their desktop or mobile device. Expenses admins will be able to easily and more accurately select a tax rate for expense claims with a filtered view of Tax Rates based on the chosen account for each claim on their desktop or mobile device.